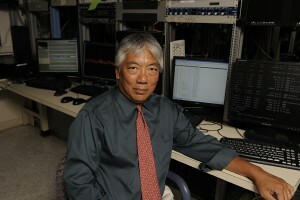 Hsiao’s team’s investigations are among the 451 stimulus-funded research grants and supplements totaling more than $214.3 million that Johns Hopkins has garnered since Congress passed the American Recovery and Reinvestment Act of 2009 (informally known by the acronym ARRA), bestowing the National Institutes of Health and the National Science Foundation with $12.4 billion in extra money to underwrite research grants by September 2010. The stimulus package—which provided $550 billion in new spending, including the above grant—is part of the federal government’s attempt to bring back a stumbling economy by distributing dollars for transportation projects, infrastructure building, the development of new energy sources and job creation, and financing research that will benefit humankind. Johns Hopkins scientists have submitted about 1,500 proposals for stimulus-funded investigations, ranging from strategies to help recovering addicts stay sober and the role that certain proteins play in the development of muscular dystrophy to mouse studies seeking to understand how men and women differ in their response to the influenza virus. As of Aug. 31, 167 staff jobs have been created at Johns Hopkins directly from ARRA funding, not counting jobs saved when other grants ran out and not counting faculty and grad student positions supported by the ARRA grants.